4. Real URL obviously NOT eBay!!!!
" 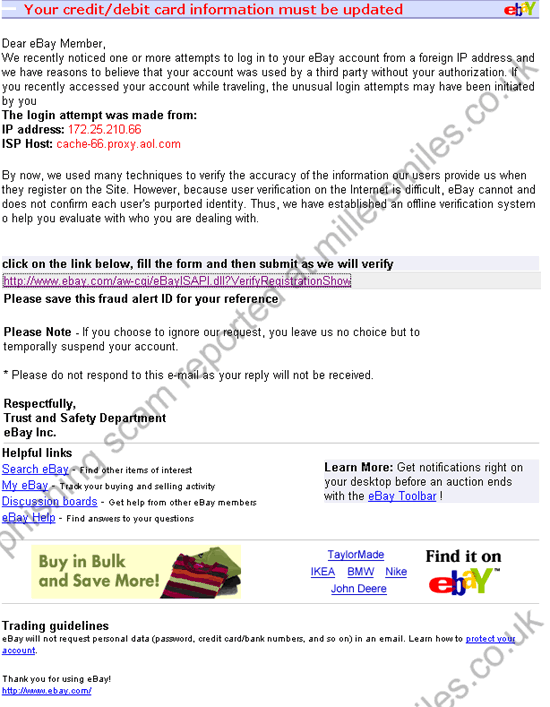 Dear eBay Member, We recently noticed one or more attempts to log in to your eBay account from a foreign IP address "